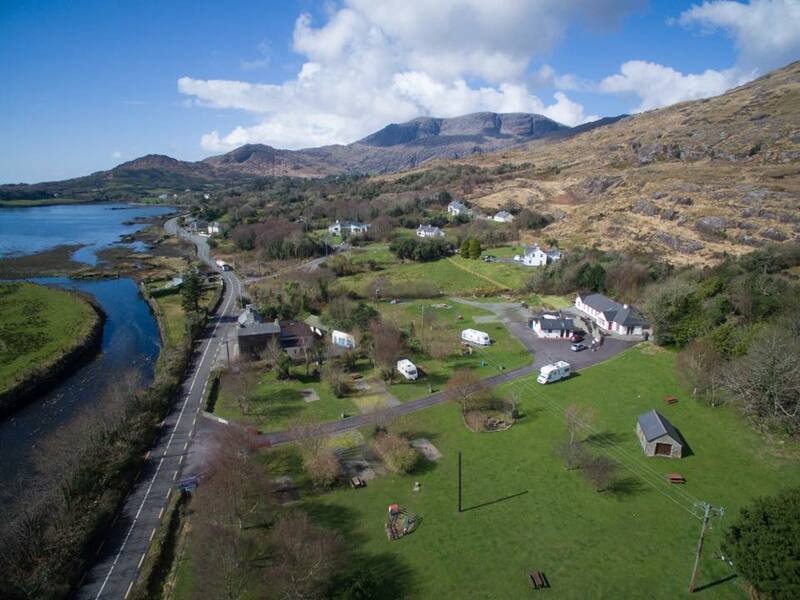 Hungry Hill Lodge & Campsite is a family friendly holiday park that can be found in the heart of the Beara Peninsula in West Cork, on the Wild Atlantic Way. It's the ideal base from which to explore this beautiful part of Ireland & is within easy reach of the cafes, pubs, restaurants and shops in Adrigole. The campsite is set in 3.8 acres of grounds, on the shores of Adrigole Bay & the harbour. The facilities are clean & modern, having been recently refurbished. There are a total of 32 mains hook up points and several water points, some pitches are hard standing with many suitable for awnings. All tent pitches are on flat level ground with facilities close by. The site also has parking area for motorhome stopovers. Enjoy a family or group holiday with a stay in a Eurotent, a ready-made solution for families and friends looking for an enjoyable camping holiday on the beautiful Beara Peninsula. The Eurotents offer a hassle free camping experience for people who want to spend more time enjoying the great outdoors and less time hammering in tent pegs! They are pre-erected tents that offer generous living and dining space complete with cooking equipment, fridge and internal lighting. This camping & caravanning site is an excellent base for those who enjoy spending time in the great outdoors. 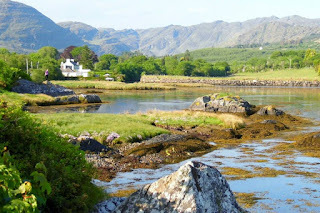 You can easily reach numerous towns, villages, art galleries, restaurants and pubs as well as golf courses, riding stables, sailing, kayaking and excellent fishing spots. Bike hire is available on site.